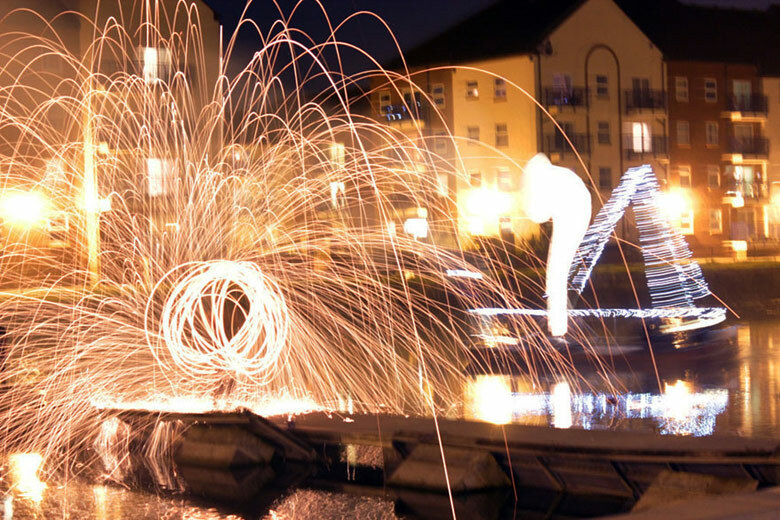 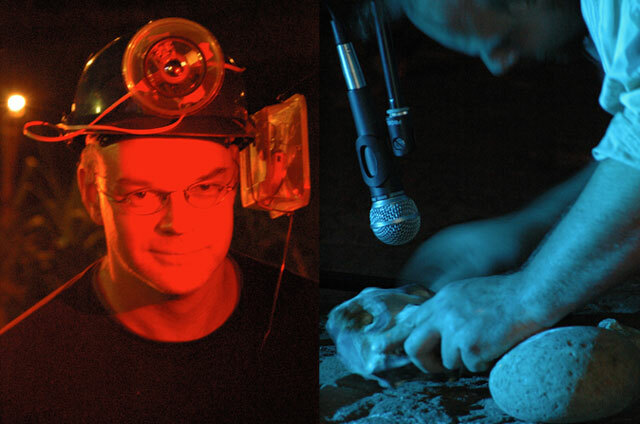 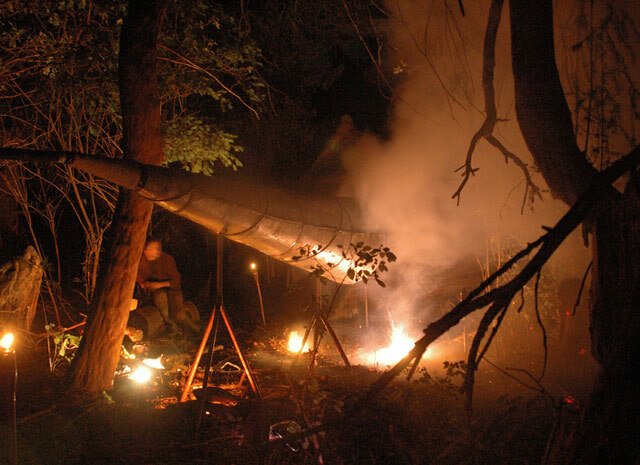 Leviathan Whispers was the seed that became Rag & Bone – Tim Hill and Dave Young’s first project together that combined outdoor performance, sound, music, mythmaking, visual imagery, light and fire. 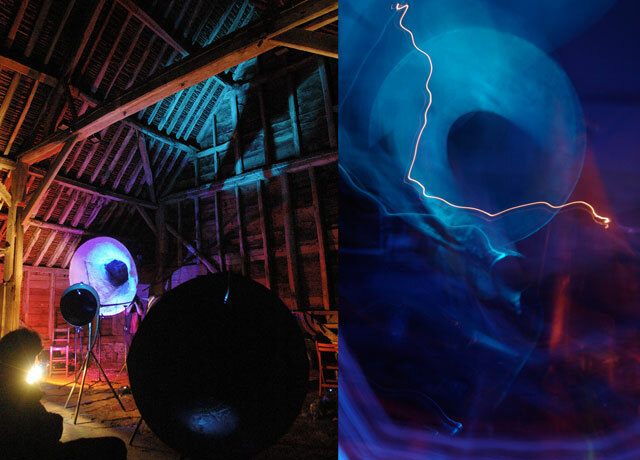 Leviathan Whispers’ first event was a collaboration with sound artist Jonathan Coleclough and pyrotechnician Martin West -a three-day event at Braziers Park in South Oxfordshire that combined live performance, installations, workshops and a nocturnal sound garden. 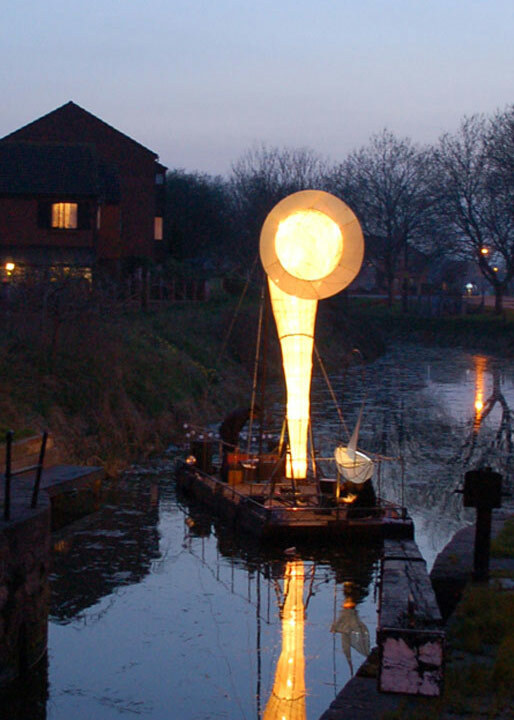 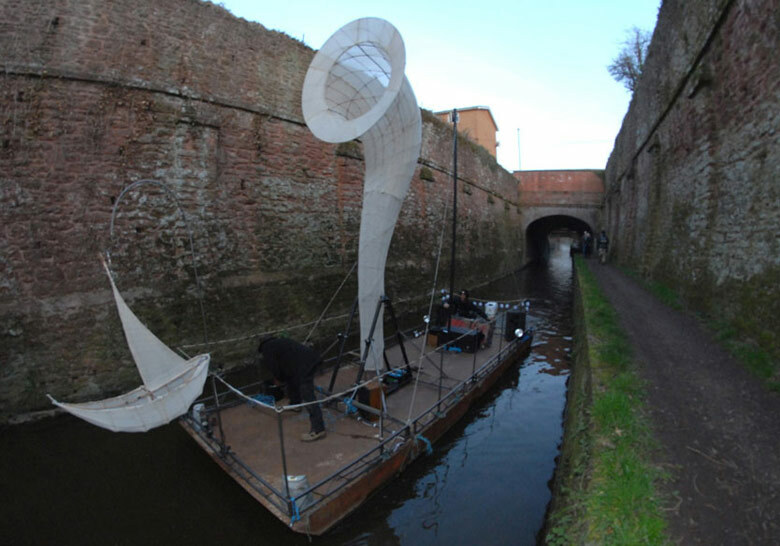 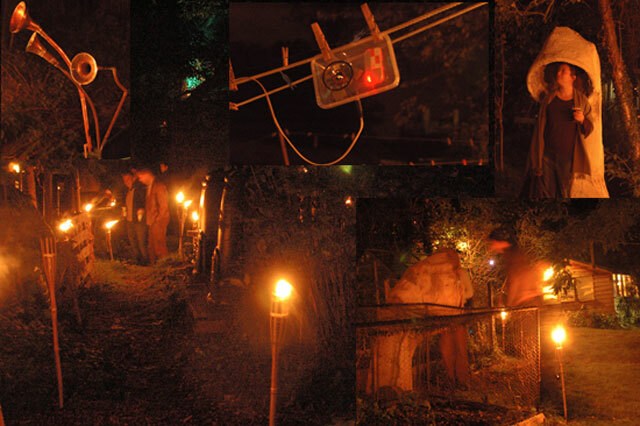 Subsequent projects eventually mutated and led into Pandaemonium – a performance to Summon the Beast of Bracknell Forest – and the Ghost Horn: an illuminated musical procession for river/canal/waterway. 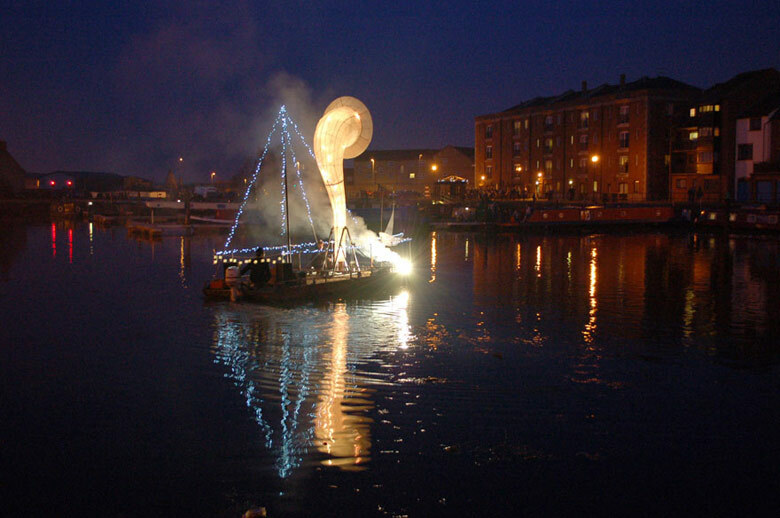 The centrepiece is the Ghost Horn itself – a giant lantern horn, a floating beacon of light and sound. 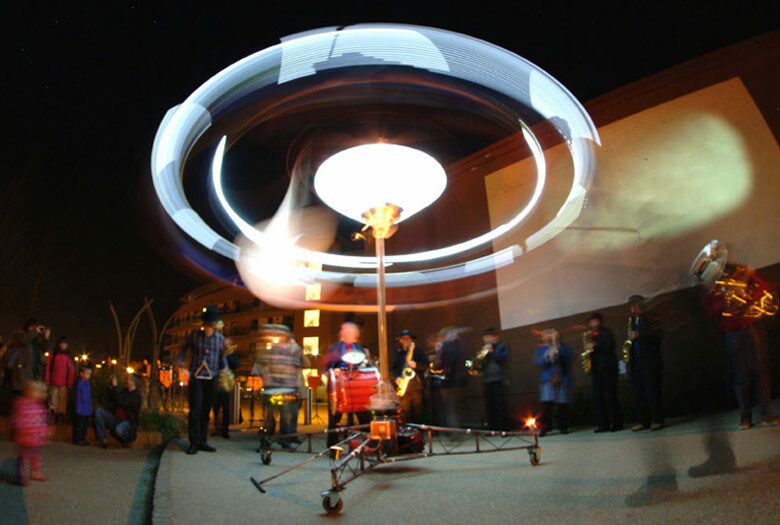 The show also includes a small water borne band, and a larger band and carousel on land.